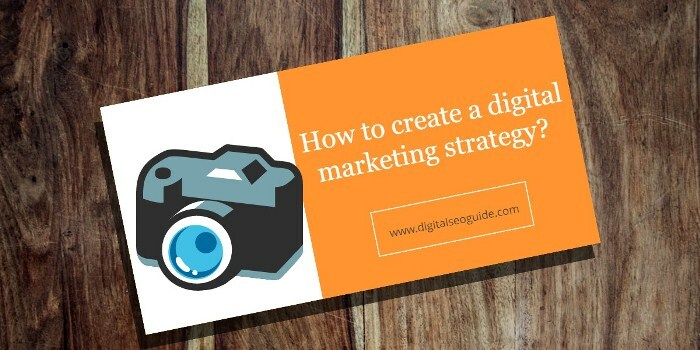 Today, we are going to share how to create a digital marketing strategy? Are you a marketer wondering to seek how to build a digital marketing strategy? Or are you a startup owner wanted to create a digital marketing strategy for your startup? Then you are at the perfect place to learn how to create your own digital marketing strategy. Without spending the enormous amount of money. Nowadays organizations are often spending huge amounts on digital marketing to drive traffic to their site and to increase their company’s sales. Organizations have enormous amounts of funds and deposits so they can invest in marketing. But if you are a small startup owner, then you can opt this article to prepare your own digital marketing strategy. Also, read digital marketing solution for startup. Digital marketing is nothing but a process of marketing where you can promote your products or brands on the digital platforms. It’s evolving enormously day by day, and its standards and strategies have moved to the next level. Let’s start discussing, how to create your own digital marketing strategy? Now, to create digital marketing strategies which work in the latest trend, you must follow these steps for your success. Don’t miss digital marketing jobs opportunities. First, to plan a digital marketing strategy for your startup, first of all, you should measure your whole progress. And know about them. Because you must know exactly what were you now? If you really know about that, then you can easily go to another step by completing this step. Because knowing your present statics will help you determine your goals. The crucial step for any business is knowing what they really want and what is the goal or objective they want to increase their business. Now, to plan a proper digital marketing strategy that works for you. Then you should take this as a fundamental step because this is the step which takes you further. This is a tricky part of marketers, who are not in charge to take final decisions but if you are a startup owner then you can have the best view about it. Be specific: First and foremost just clearly define your ultimate aim. Because a strategy is not a goal, a strategy will help you to reach your goal. Measurable: Measure your blog and keep particular metrics by analyzing your blog. Like I must increase to some percent etc., don’t just go for “I must improve my brand”. Realistic: Be realistic don’t be a dreamer. Just measure your efforts and time to achieve that goal, see that you have the capacity and resources to do it. Increase your blog visitors to 5000. Increase your blog revenue 30% than the previous month. Increase your blog conversion rate about 5% etc. I must get 90% more revenue. I must get 3 lakhs visitors a day. Crossing all my competitors etc. These are bad practices, you should not do this mistake. Planning a strategy is perfect, but planning like a wish is wrong. Now by this step, you can know what your final goals. Now let’s start achieving them by going to other steps. The crucial step in achieving our goals in digital marketing is identifying your customers. The world is having a huge base of customers everyone can’t just be your perfect customer right? So, now you have to identify your customer in this huge user base. Identifying your customer may be trouble for starters. But identifying your potential customers will save you a lot of money in your long run. You can track your audience response by social analytics and activities. And you can also use the Customer relationship management system and do analytics etc. The easiest way to find your desired audience is through social activities and by conducting surveys and other opinion polls on social media and your blog. And you can also make use of pay-per-clicks to find engaging customers. Identifying your competitors is always helps you. But it’s a tricky part because proper analyses only can determining competitors. We might think that we already know our competitors. But you really can’t say about your competitor without proper research and analyses. You can easily find your competitors through this process, one of the primary processes is by finding them on search engines. Just enter the keyword you want to rank for and see the top 4-5 results will be competitors. 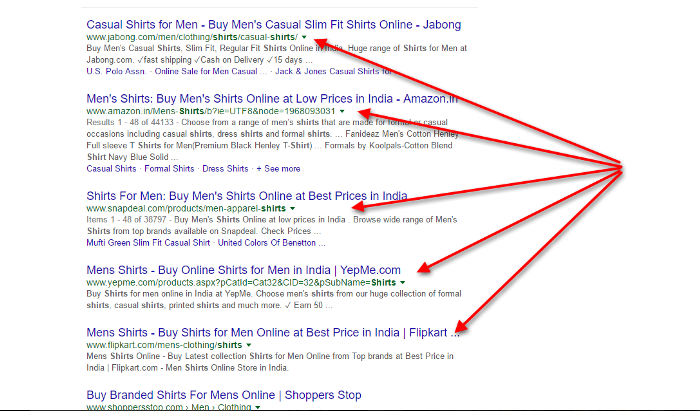 Here in the above example, I used shirts as a keyword and you can find the competitors for that if I want to rank for shirts. In the same way, you can also check your competitors Sometimes they might not be your competitors because if there are having the different niche and not selling those products. And you can also find your local competitors who are competing with you. The main part of digital marketing strategies is to implement your search engine optimization perfectly. 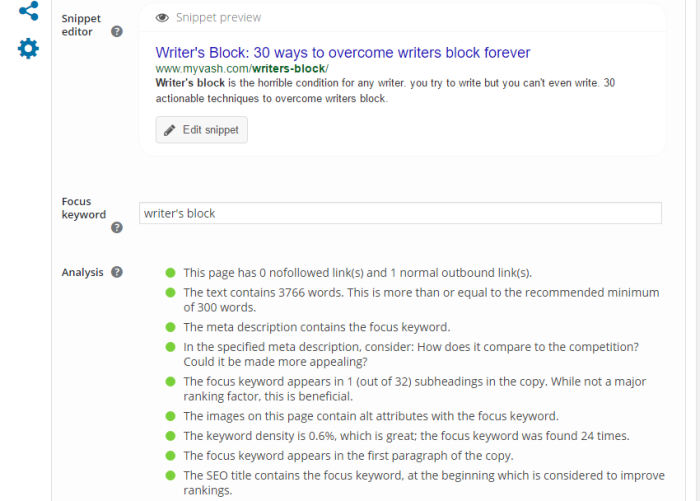 Because SEO is the crucial part of any websites presence if Google does not find your content, then I can easily bet that no one will ever find your content. And you can’t get traffic to your site. Seo is not one single process it includes various options in it. Here is the plan which can take your success. Keyword Research: Keyword research is the mainstream for any business, having best and relevant keywords of your niche in your website is a huge boost. Keyword research often takes time, but if you actually apply your full efforts in your keyword analyses, then you can find high searching keywords where you can rank for, and you can also find long-term keywords. For keywords research, most of the experts use professional and paid tools which give all the metrics and statics about the keyword like SEMrush, long tail pro, word tracker, etc. For Backlink, Competitor Keyword Research and SEO Analysis try SEMrush. 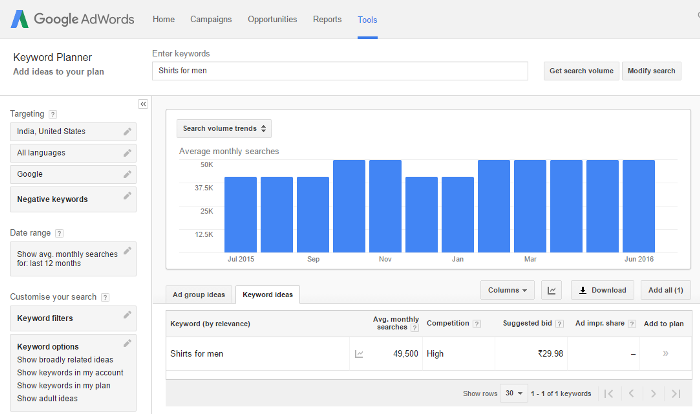 The best free tool available for keywords research is Google keyword planner. If you can’t afford money for keyword research tool, you can make use of Google keyword planner. Link building: Link building is having a huge impact on Google SERPs rankings and with link building, you can increase your site ranking in Google and also you can get the authority to your site. But spam and irrelevant links towards your site will downgrade your rank and it possibly hurt your SERPs ranking and also search engines can penalize your website. All you have to do is build a quality and authoritative links and relevant links to improve your user searching and also helps search engines to find your website quality. Once you have your keywords research completed then you should try to rank for that keyword and rank well in Google and other search engines along with search engine optimization you also need content marketing to rank well. I know each and everyone knows that content is king. Write a good content that satisfies your users and along with their satisfaction you should see it’s satisfied by Google as well. Don’t optimize the content too much, as over optimizing and keyword stuffing may lead your ranking down and also cause penalty by google panda. Content marketing includes everything like – blogs, email newsletters, guides, letters, videos, slideshows and long case studies. To perfect optimize your content writing a long and informative article as longer articles rank well in Google. You can read a clear guide on why you need to create a long-form content by Neil Patel. And install Yoast SEO plugin to make your content marketing perform better and you can get all the suggestion of SEO while editing your content itself by the help of this plugin. Now, you have produced an excellent content through content marketing, after that, all you have to do is promoting that content. Now the best way to share your content is through email marketing. Email marketing has been a crucial aspect of digital marketing strategies for websites, as many of the site and business specially hire experts to do their email marketing. Now as you do not have that funds, so try to create your own email marketing camping. There were a lot of rules on email marketing as well, first of all, have a clear view of the rules and make use of other articles which are specifically explained about them. Here is the best guide for a beginner of email marketing by kiss metrics. Social media marketing is an excellent way to keep your content in front of many eyes. It’s the best way of promoting content. Read this article to know more about “what is social media marketing” Sharing your content on your social media platform is a great way to not only boost your traffic but also you can get sales and increase your business through social media. Actually, big business keeps a separate social media manager to see their brands. But here you don’t have that funds so it’s better to share your own content in a perfect manner to drive traffic to your site. Social strategies are pretty different for different kind of social media platforms. Facebook is having an own strategy as well as Twitter having a separate strategy. Here all you have to do is optimize your post according to the social media platform and share your content. And engage with the users who comment on it and share for users who may be interested in your content. Find them with the help of buzzSumo. You can schedule your posts at different times with the help of Buffer, HootSuite and Twitter deck, etc. Still, there are more tools if you really want to see all the content marketing tools at one place then this is the best source ever in 2016 “50 tools to jumpstart your content marketing efforts”. Now, you have reached your final step. You have worked completely hard to create your own digital marketing strategy for your startup. Now all you have to do is see what’s your hard work pays in return. Make use of google analytics and google webmasters to measure your sites stats and final take of a full report of your digital marketing strategy. There are numerous paid tools to find website analysis, but you can easily make use of google analytics as it is a free tool. After measuring your reports see whether your plans and goals are reached and if you reach your goal then try to set another goal for next month. If you got stuck anywhere, then go to the back process and check where you have done wrong. Because I said, all the steps in a short-cut as all points have the different set of explanation. So go back and try to execute your step perfectly. Read this article to know more about “Top 10 Digital Marketing Agencies“. Finally you have completed your digital marketing strategy for your blog without paying any money for experts, and finally, you saved your money. Now just once again ensure your new goals and start chasing them. This is all about the digital marketing strategy. I hope you all now got how to create a digital marketing strategy. If you have any comment, let me know by commenting below. Target audience & objective must be set while creating a Digital marketing strategy. So that would be easy to measure strategies success. Ofcourse in digital marketing the SEO is the major part where the advertisment depends mostly on how the tools are being implemented. This post is an eye opener for those who are confronting difficulties when it comes to talk about the division of equally supported marketing of the brand.